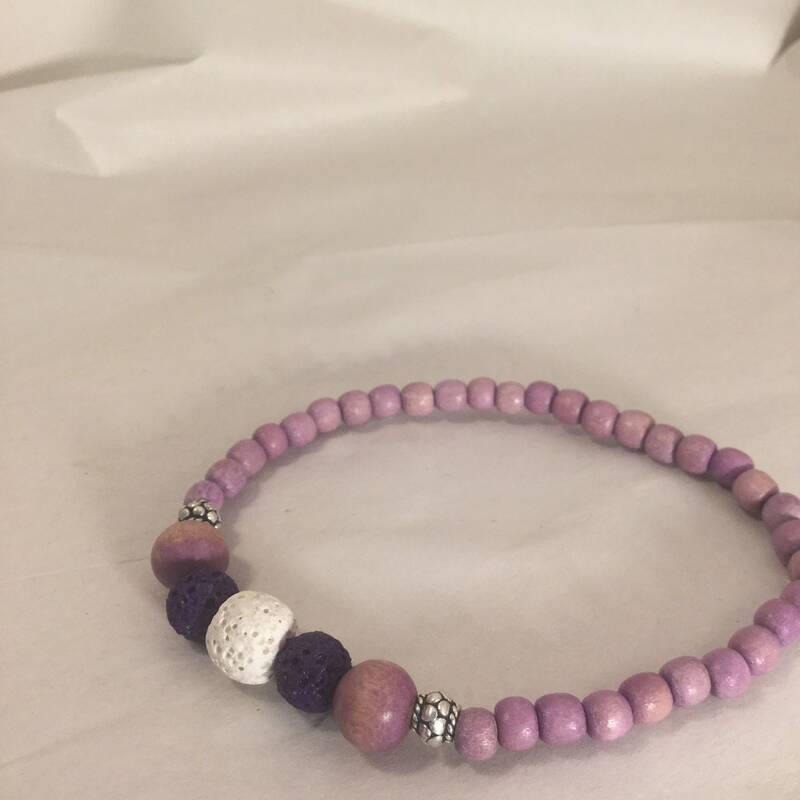 Lovely lavender and lava diffuser bracelet. 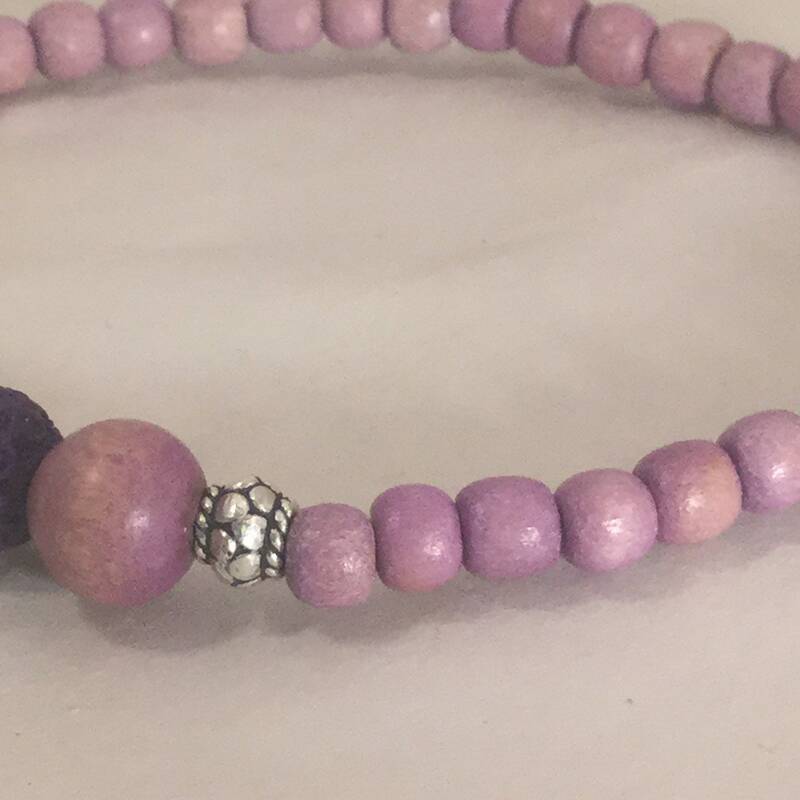 You choose whether or not you use lavender essential oils on your lava stones, but this one is enjoyable either way! 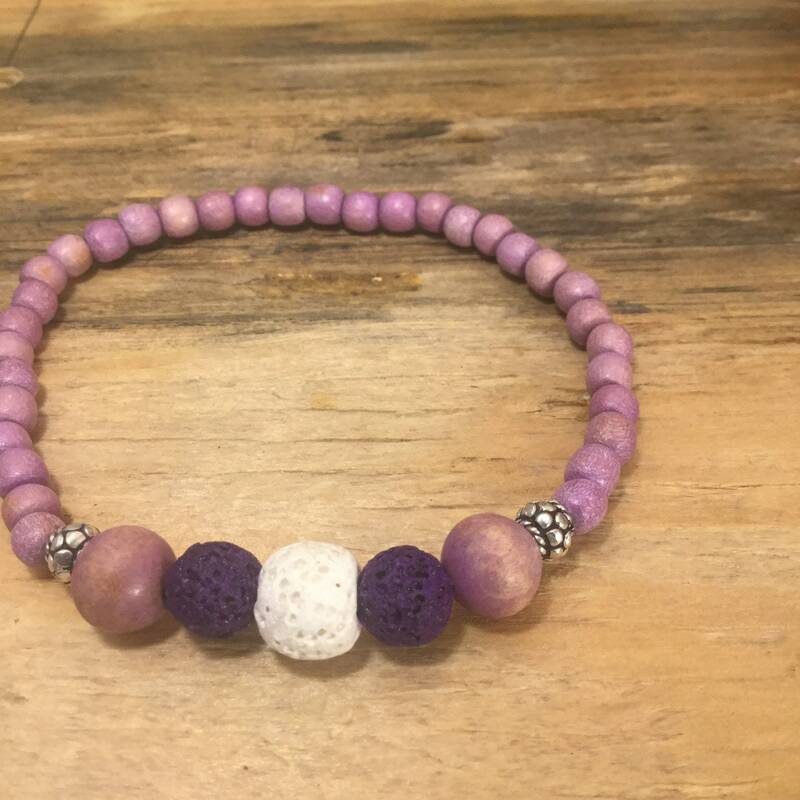 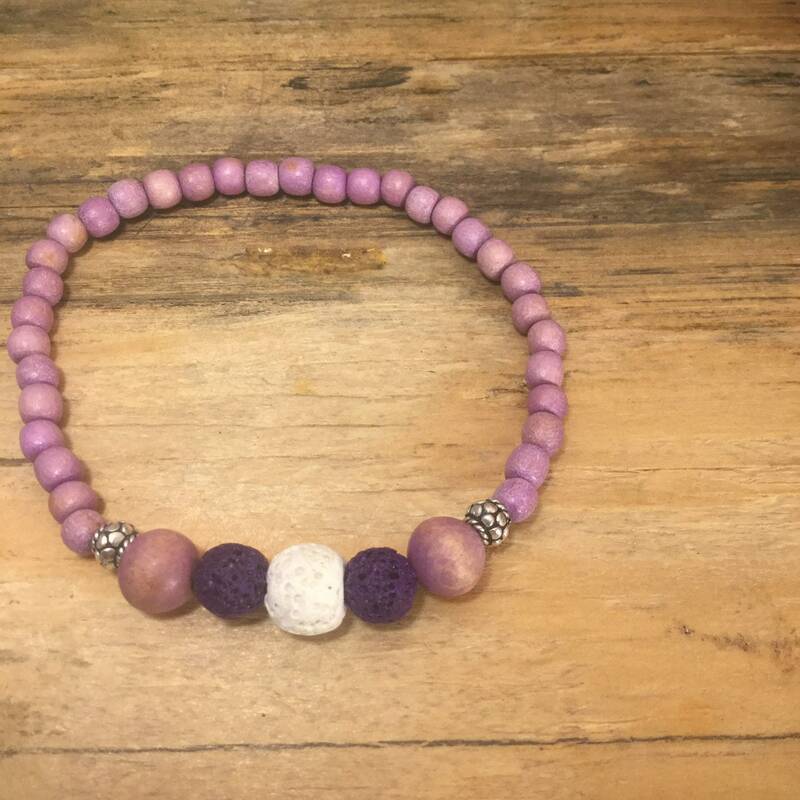 Repurposed lavender wooden beads are matched with sterling silver, purple and white lava beads to create this special bracelet. 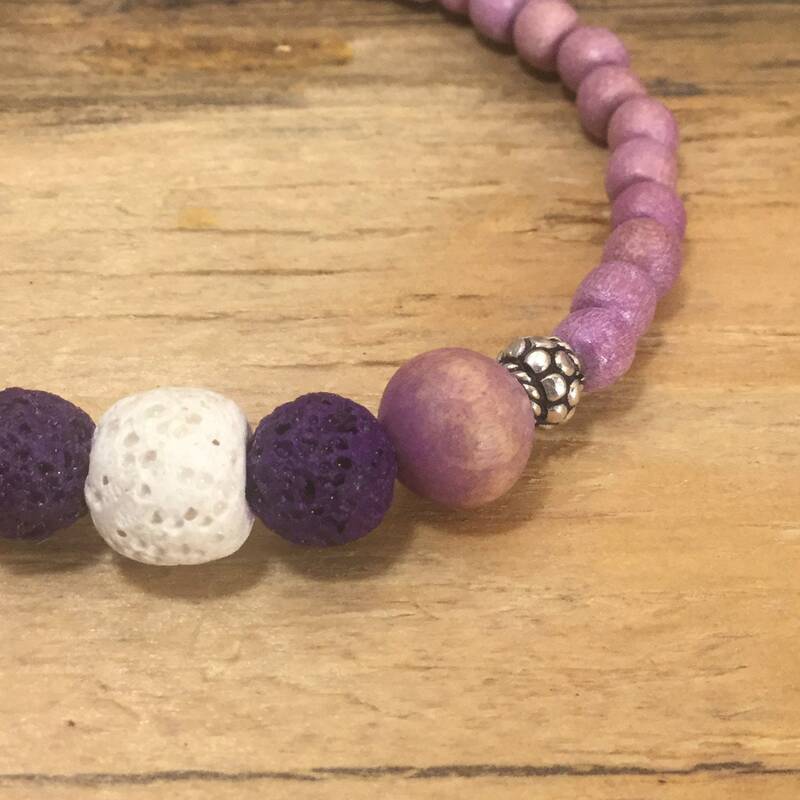 Apply a drop of your favorite essential oils to each lava bead. 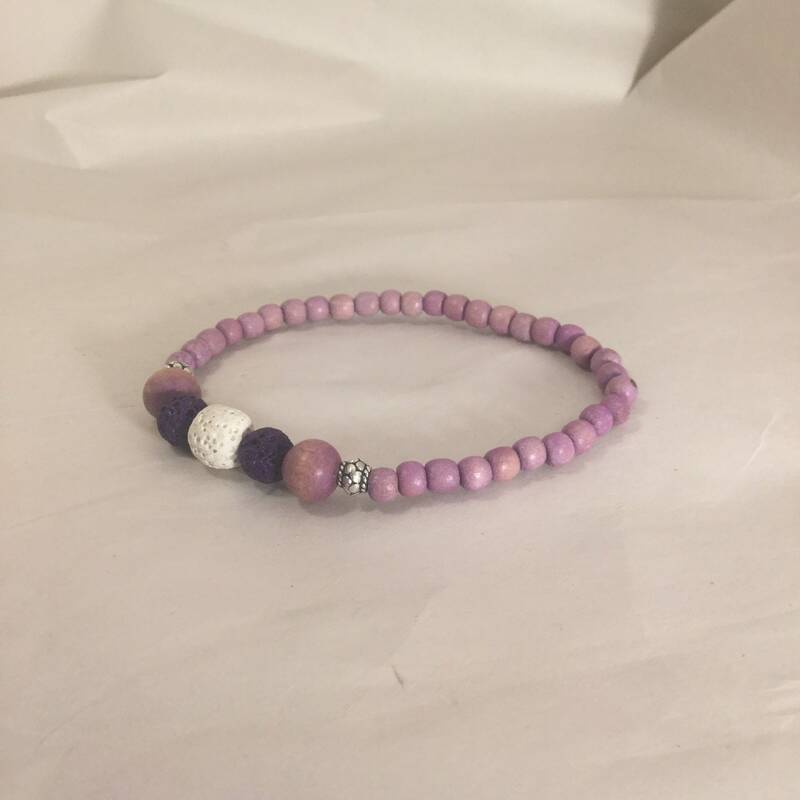 This bracelet is 9 inches but the nylon stretch cord makes it easy to wear for most. 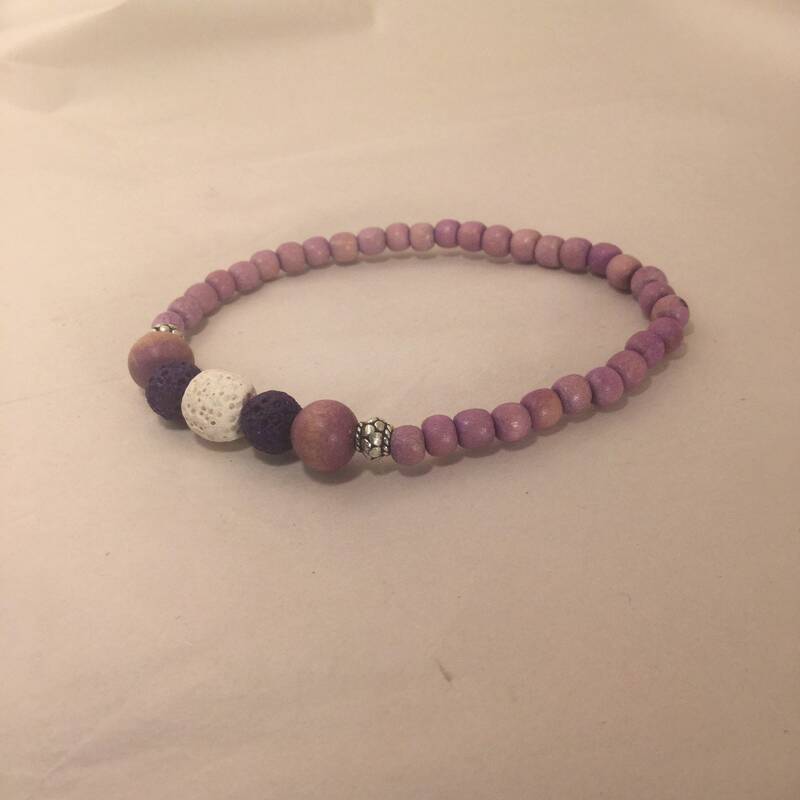 Please keep in mind, some essential oils do stain.